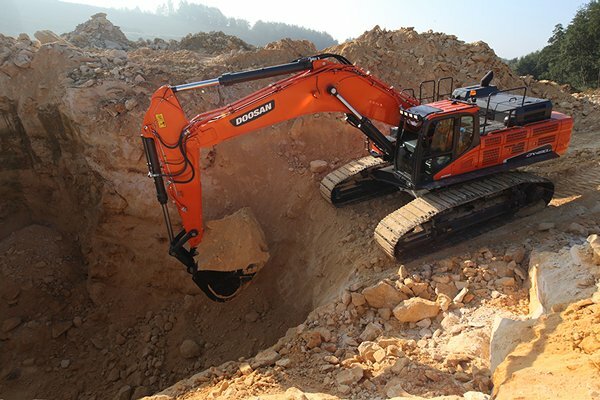 We have acquired a new Doosan DX490 Excavator to replace our old and tired Komatsu PC400. This excavator will be used to load haul trucks with shot rock to feed the crushing plant and is a critical piece of equipment to our operations. Last year, our Komatsu PC400 was broken down for over a month, so our new Doosan Excavator is a much needed replacement and upgrade!